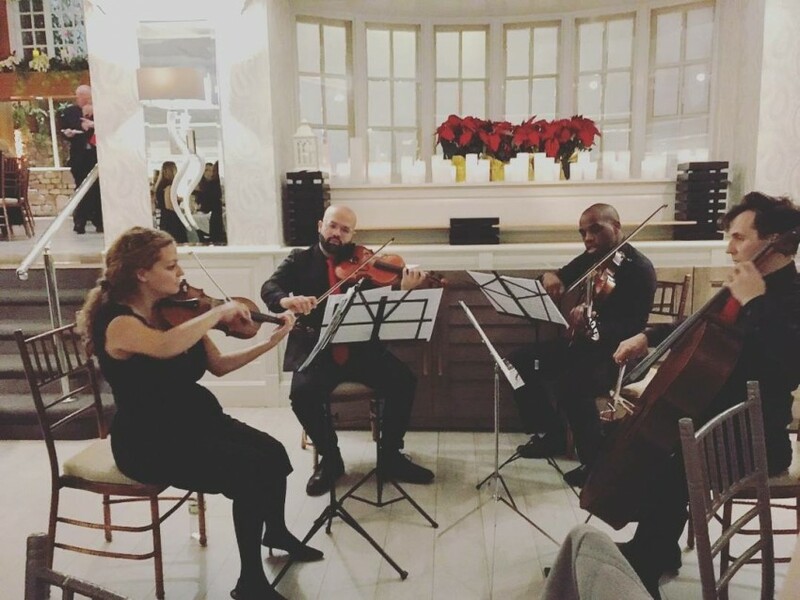 I’ve been playing professionally for weddings and special events for over 15 years now, and have evolved my sound and style for today with the use of electric violins and popular music. See my practice videos on my Instagram acct: @TheTealViolin. I incorporate music in my sets from mainstream artists like Ed Sheeran, Toni Braxton, John Legend, and Alicia Keys to more classical and traditional songs from artists like Elvis Presley, Tony Bennet, and Frank Sinatra. I am always open and available to collaborate on song choices and I use both electric violin and acoustic violin and provide my own speakers. First let me say James was a consummate professional. He could not have been any better. I hired James for my mother's luncheon which followed her funeral. My mother was the keystone of my life so I was not going to hire just anyone. I reviewed James online and saw how seriously devoted he was to his craft. He was flawless through the luncheon. A true professional in every sense of the definition. If you are thinking of hiring a violinist for your event, look no further you found your guy. Thanks again, James, for making her day truly special and extraordinary. Frank, thank you for your kind words. Your planning and preparation for the luncheon made my job easy. I wish you and your family all the best. James Teal - absolute professional!! I never normally write reviews, but James went so above and beyond what I could have expected that I need to share. We had a very intimate surprise proposal on a rooftop in Time Square. He came early, looked very professional (suit and all) and played exactly what we asked without missing a beat. He literally brought the moment together! 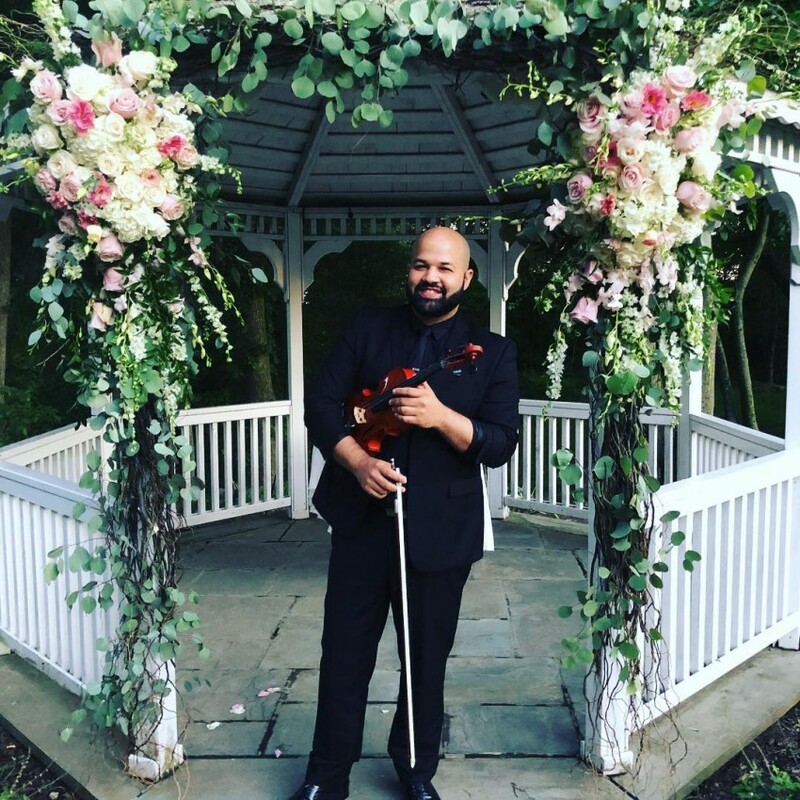 I couldn’t have asked for anyone better and would always reccomend him for anyone seeking a violinist for any event. Thank you, James! You’re the best, Kelly. It was an honor and was an amazing proposal surprise! Thank you! Expect professional background music for your restaurant, event, dinner party, etc. If the venue does not provide an amplifier and other audio equipment, I can provide my own. I connect my background music and instrumentals to play over the speakers while I play over the tracks. Music from love story, moon river to Toni Braxton, and from Lady Gaga to Luis Fonsi's Despacito. Typical set lists range from 20-40 min and include songs by Ariana Grande to Toni Braxton, old classics like Moon River and Love Story, and new hits from Coldplay to Luis Fonsi's Despacito.